My Very Eager Mother Just Served Us Nine…… um… Nine…………. Just Served Us Nachos? Like it or not, everyone’s favorite far-flung world Pluto is no longer considered a full-fledged planet, at least not in the International Astronomical Union’s book. It’s now a dwarf planet, sharing its status with other icy worlds beyond the orbit of Neptune (as well as an overgrown asteroid called Ceres.) But why was Pluto demoted in the first place? What prompted the astronomy community to scrutinize Pluto’s credentials and make a decision that upset millions of people worldwide (not to mention more than a few grade-school classes)? Universe Today shares an informative article regarding this, along with a video created by Christian Ready (above). Read the article here. Personally, I’m ok with it either way. Regardless of what we call it Pluto is still a fascinating world deserving of our investigation. And if anything, it’s gotten it even more attention over the past several years than it ever got since its discovery! Not bad for a chilly little planet – er, dwarf planet – over 5 billion km away. For more on the IAU’s controversial 2006 decision, click here. 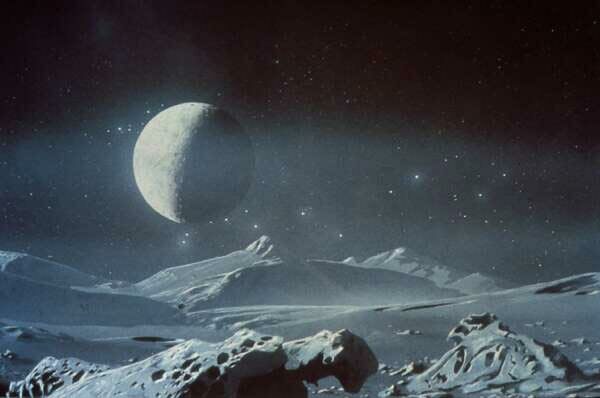 You are telling only part of the story by saying, “like it or not…Pluto is no longer considered a full-fledged planet.” Only four percent of the IAU voted on the controversial demotion, and most are not planetary scientists. Their decision was immediately opposed in a formal petition by hundreds of professional astronomers led by Dr. Alan Stern, Principal Investigator of NASA’s New Horizons mission to Pluto. One reason the IAU definition makes no sense is it says dwarf planets are not planets at all! That is like saying a grizzly bear is not a bear, and it is inconsistent with the use of the term “dwarf” in astronomy, where dwarf stars are still stars, and dwarf galaxies are still galaxies. Also, the IAU definition classifies objects solely by where they are while ignoring what they are. If Earth were in Pluto’s orbit, according to the IAU definition, it would not be a planet either. A definition that takes the same object and makes it a planet in one location and not a planet in another is essentially useless. Pluto is a planet because it is spherical, meaning it is large enough to be pulled into a round shape by its own gravity–a state known as hydrostatic equilibrium and characteristic of planets, not of shapeless asteroids held together by chemical bonds. These reasons are why many astronomers, lay people, and educators are either ignoring the demotion entirely or working to get it overturned. Adherents of a geophysical planet definition do not accept the notion that an object has to “clear its orbit” to be a planet. Instead, we believe a planet is an object that is large enough to be rounded by its own gravity and orbits a star. Dr. Stern is the person who initially coined the term “dwarf planet,” but he intended it to refer to a third class of planets in addition to terrestrials and jovians, planets large enough to be rounded by their own gravity but not large enough to gravitationally dominate their orbits. According to this equally legitimate scientific view, dwarf planets are planets too.